Kelis, Jazzie B and Omar lead the music on offer at London’s Jam On Rye 2019. 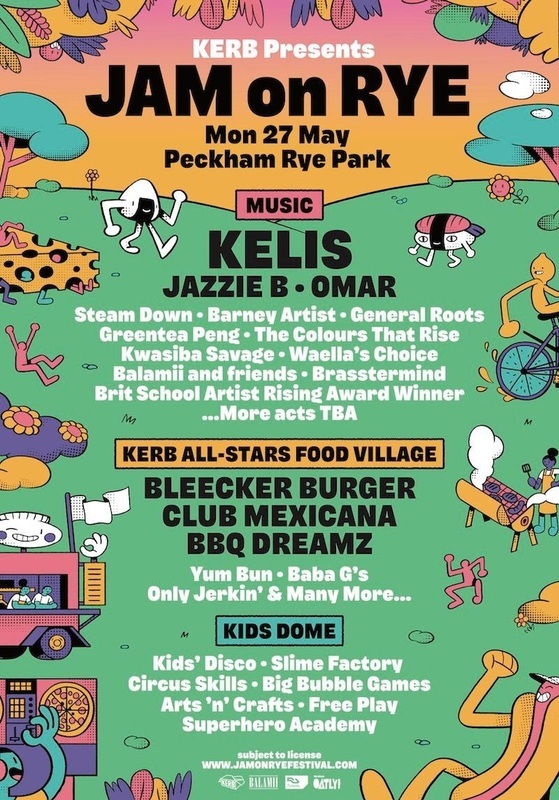 The Peckham Rye Park festival on Monday, May 27th will also feature local online radio Balamii hosting a stage of local talent in-line with the event’s mission statement of supporting homegrown artists. Jam on Rye has also partnered with performing arts college Brit School to provide a selection of rising stars on a stage in Tulse Hill on the final Thursday of every month until May, with the overall winner being awarded a slot at the festival. Away from the music, Jam On Rye will see food from Bleeker Burger, Club Mexicana, BBQ Dreamz, Baba G, Only Jerkin’, Carcass and London Smokehouse, Deserted Cactus, Garden Of Eden and Bokit’La. Family activities will include a playground situated inside a dome featuring the messy ‘slime factory’. For tickets and details go to jamonryefestival.com.